Can the Real Mary Hear? 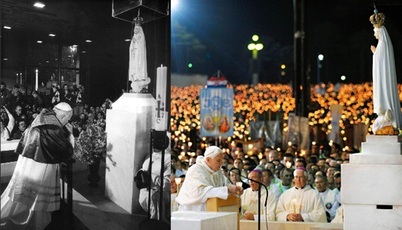 I feel it necessary to address the false teachings about Fatima or Mary, as we are seeing a massive increase in Maryian apparitions and statues doing strange things. 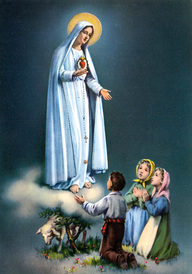 (a) These apparitions are coming with messages to Catholics everywhere telling them to believe in her immaculate conception, her ability to save people at the moment of death, to repeat her rosary, and pray to her. Catholics have even given her the title of 'Queen of heaven'. The fact is that none of these match the Mary, mother of Jesus, found in even the Catholic Scriptures. It quite simply is Satan's way of replacing Jesus Christ with his mother. One lesser know fact is that Mary worship didn't start with initial Church in Antioch. Rather Mary worship began in 431 AD with prayers being directed specifically to her in 600 AD. In these passages alone many things become apparent. Far from the exalted Queen of Heaven Catholics exalt her to be, Mary herself sees her "estate". She not only fully indicates she is a servant when compared to God, nowhere close to being at the same level as God or Jesus as the Catholics attribute to her, but also in need of a Savior that God is. If she needs a Savior, that would mean she needs saving from her sins. This is a full confession of her sinfulness and dire need of the Savior, Jesus Christ. Far from the immaculately conceived and sinless person that gives her the right to be a mediator, we see rather a sinful woman who not only recognized her need for a savior but also offered the sacrifices, admitting her own sin. She might have been blessed because received the privilege of carrying her Savior in her womb but she couldn't even save her herself from her own sins, let alone anyone else's. But she was still a sinful woman needing a Savior. Also in John 2:5 her instructions to other humans, in this matter is simple. Why not, do whatever I tell you, if she is supposed to be co-redeemer and part of the Trinity? Because Mary knew only Jesus could do what God did. Again far from what the Mary apparitions instructing us to do what she says and to follow her, the true Mary of the Bible told us to follow Jesus’ instructions. One can only wonder if there is something demonic posing as Mary, who would instruct us in a way so diametrically opposed to what the real person had said in life. 55 Is not this the carpenter’s son? Is not his mother called Mary? And are not his brothers James and Joseph and Simon and Judas? 56 And are not all his sisters with us? So much for Mary being a virgin still. Obviously she and Joseph had many children after the virgin birth of Jesus. First of all the Rosary is not even alluded to once in the Catholic Bible. This practice shares more in common with Buddhism, Hinduism, Silkhism, Bahai, and Islam than with true Biblical Christianity. 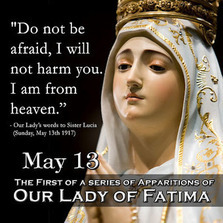 (b) We are told only to pray to Jesus, not a saint and certainly not Mary. 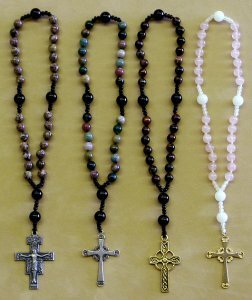 The rosary is prayer recited over and over to Mary daily using prayer beads as counters. You say 10 Hail Mary prayers and then 1 Our Father prayer. But even this is condemned even by Jesus. “And in praying do not heap up empty phrases as the Gentiles do; for they think that they will be heard for their many words. 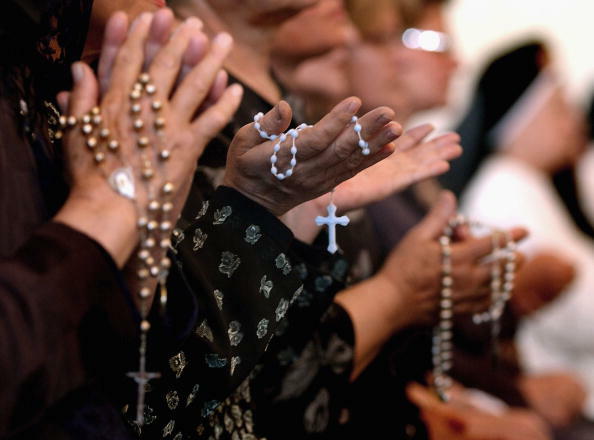 For more information on the Rosary and what the Scripture has to say about it, click here. What few know is the term 'Queen of heaven' only started in the 11th and 12th century. Also a lesser known fact was that this title is used twice in the Bible but not referring to Mary. 18 The children gather wood, the fathers kindle fire, and the women knead dough, to make cakes for the queen of heaven; and they pour out drink offerings to other gods, to provoke me to anger. This title referred to Ishtar, an Assyrian and Babylonian goddess also called Ashtoreth and Astarte by various other groups. She was thought to be the wife of the false god Baal, also known as Molech. The motivation of women to worship Ashtoreth stemmed from her reputation as a fertility goddess, and, as the bearing of children was greatly desired among women of that era, worship of this “queen of heaven” was rampant among pagan civilizations. Sadly, it became popular among the Israelites as well and now Mary adorers everywhere today. One of the most iconic images of Mary adoration is their worship, adoration, gifts, and even crowning of their statues of the virgin Mary. These statues are carried through many cities all around the world during citywide and even countrywide festivals that can last for days. The statues of Mary are kissed, worshiped, bowed to, and prostrated before. Roman Catholic popes have even crowned certain statues. Catholics justify their idolatry by saying "God forbade the worship of statues, but he did not forbid the religious use of statues. Instead, he actually commanded their use in religious contexts! "(c) Yet they give absolutely no Scripture to back up this claim. So what does the their own Bible really say about this kind of adoration and worship of statues and portraits? You shall not make cast idols. You hate those who pay regard to worthless idols, but I trust in the Lord. Instead of encouraging the use of statues in religious context. 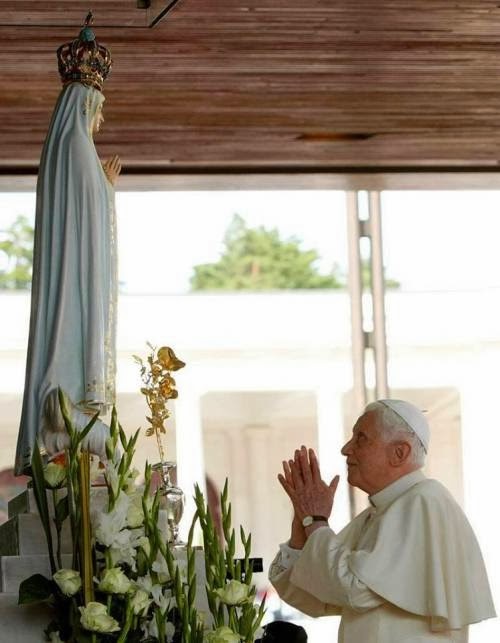 The Catholic Scriptures actually forbids even creation of such idols much less allowing the worship of them. Clear and simple, idols/statues are not to be made nor worshiped. PERIOD. Jesus said to him, “I am the way, and the truth, and the life; no one comes to the Father, but by me. Ironically Acts 4:10-12 was spoken by the apostle Peter, the one whom the Roman Catholics credit with starting their church and being their first pope. Even Peter demolishes the idea there can be a co-mediator, who can save men. Peter makes it clear it is through the Jesus whom they crucified and rejected, that salvation given to all men. No mention of Mary being a co-mediator is even hinted. You can go to no one else but Jesus alone to get to God. Jesus said "No man comes to the Father but by me." Strangely enough the idea that Mary was sinless and thereby able to be a mediator along side her son Jesus Christ was never the view of Catholicism until recent years (c). 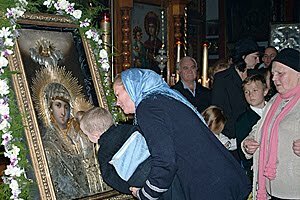 Up until that time the Church tradition was that Mary was just a common woman given the blessed privilege of bearing the Son of God. "Christ alone was conceived without sin." "The virgin herself was conceived in iniquity and in sin did her mother conceive her, and with original sin was she born, because she too sinned in Adam in whom all sinned." So why the sudden change in stance, if not to draw away the true believers, if that were possible? False Christs and false prophets will arise and show signs and wonders, to lead astray, if possible, the elect. 13 and when they had entered, they went up to the upper room, where they were staying, Peter and John and James and Andrew, Philip and Thomas, Bartholomew and Matthew, James the son of Alphaeus and Simon the Zealot and Judas the son of James. 14 All these with one accord devoted themselves to prayer, together with the women and Mary the mother of Jesus, and with his brethren. Notice, she was praying along with everyone else among women not above women. And she was a sinner who needed to pray to God. There is no mention of an ascension anywhere in the Scriptures, either. So if she is not up in heaven, how can your prayers be heard by her. If she is not a mediator between man and God what use is it to pray to her? Clearly church tradition has replaced the true mediator Jesus Christ with an impotent mediator a mortal woman back only by myths and legends. Would you like to know the REAL mediator, Jesus? For only He and He alone can save you, allowing you into Heaven to be with God.